New Horizon launched NINE years ago and this week arrived at Pluto. Neil DeGrasse Tyson, may not think it’s a planet, but he agrees seeing the images for the first time is huge deal. 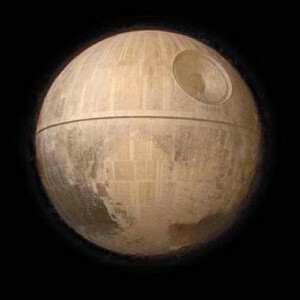 But of course, in addition to awe, there was also humor in the form of many Pluto memes. Check out a few collections of the best ones from Gizmodo and Mashable. This week Google had a data leak…one that revealed that it’s not criminals, politicians nor public officials who make “right to be forgotten” requests. Instead, 95% of the requests come from regular people like you who simply would like privacy. The Guardian is the one who found the data and said requests included “a woman whose name appeared in prominent news articles after her husband died, another seeking removal of her address, and an individual who contracted HIV a decade ago.” Note: nearly half of all right to be forgotten requests have been granted. Why didn’t this exist before? This cycling helmet has brake lights and turn signals thanks to 60 integrated LEDS. You charge the Lumos helmet once a week using a micro-USB cable and gain lots of safety features. There are signal indicators in the back controlled wirelessly via a handlebar attachment that works using radio frequency. But it also has an automatic brake light that turns on when you decelerate (thanks to an internal accelerometer). If you bike at night (or heck, even the day, quite frankly), I can’t see how this wouldn’t be a great purchase if it works as advertised. Although he was only 55 years old, Nintendo president Iwata passed away this week. He apparently had some kind of bile duct growth that he had removed last year (he missed E3 as a result), but it seems he had lingering health problems. Iwata rose in the ranks of the company, having started there working on games, and eventually becoming only the 4th CEO in company history. If you shopped Amazon’s birthday sale called Prime Day, you know how…well…random some of the offerings were (who doesn’t need a family pack of brass knuckles, a Diane Keaton t-shirt, and a plate of ham? 😉 ). The Internet had a field day with it (once again reminding me just how funny people are!). If you want a laugh today, be sure to check out Buzzfeed’s list of 26 Best Responses to Amazon Prime Day and Heavy also has a great list. Wow did this get buzz this week. Moov released a fitness tracker by the same name last year that was well received (even getting 4.5 stars on Amazon with 172 reviews ). They called it a “wearable fitness coach”…but the latest version looks maybe even better. Called the Moov Now (coming this fall) measures movement very accurately, it uses a watch battery so will run for 6 months, it now tracks your sleep, and it’s waterproof up to 3 meters so it can track swimming, AND the real-time coaching and feedback is apparently quite awesome. PC World says it has the potential to be “borderline…disruptive” to the wearable category. You can preorder now and get it for only $60 (it will retail for $100). Information about the Lexus hoverboard are slowly being relased. It is for real, and, it’s not smoke coming out of it—Endgadget reports the cool-looking “smoke” is actually from the liquid nitrogen required to keep the board’s guts cool. It IS true though that the Lexus board won’t work everywhere—only over magnetic surfaces. Still, come on—it looks cool. Yesterday Microsoft confirmed they’ll be selling their latest operating system on USB stick so you don’t need a DVD drive to upgrade. In fact, you can preorder today on Amazon, if you’d like. But, a warning: the new system apparently will automatically install updates without asking you whether you want them. In theory, this will mean security gaps will get filled quickly, but the downside is that updates may screw up drivers for other devices you could have installed. Just something to be aware of, but not necessarily a deal breaker.